Hon. D Ezzard Miller was employed by the Cayman Islands Hospital for six years as a Pharmacist. Thereafter, he owned and managed a pharmacy until 1988. 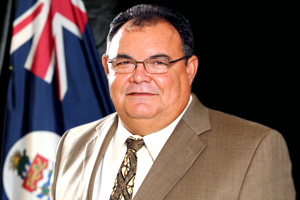 Subsequently, in 1984 he became a Member of the Cayman Islands Legislative Assembly (LA) as the elected member for the district of North Side. He remained as North Side representative until 1992 as well as being the Minister of Health and Social Services. Afterwards, he was employed as a Human Resource Manager for Deloitte Cayman, a company who focuses on Audit, Tax, Financial Advisory, Enterprise Risk Services, Disaster Recovery, IT and Consulting Services. Thus, in July 2007 he opened a Health Care consultancy firm. In May 2009, he was re-elected as the North Side independent representative and became a Member of the LA. Presently, he is the Leader of the Opposition within the Legislature and the Chairman of the Public Accounts Committee.